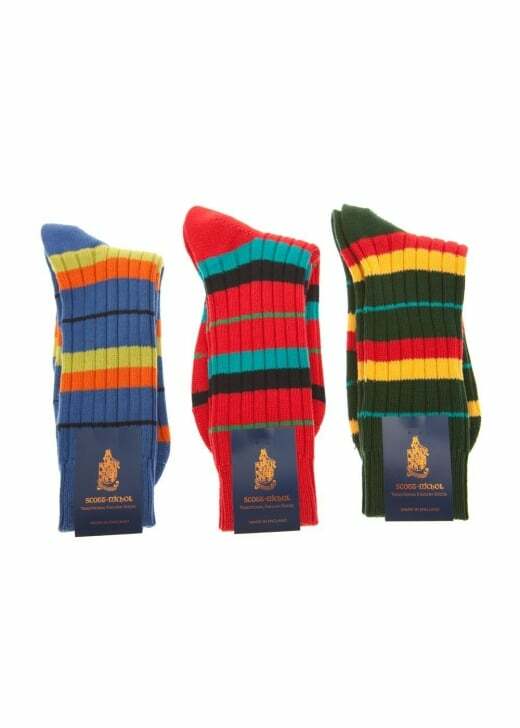 The Scott Nichol Hobart Double and Narrow Stripe Socks are boldly coloured ribbed stripe socks with hand linked toes. The Scott Nichol Hobart Double and Narrow Stripe Socks are boldly coloured ribbed stripe socks with hand linked toes. Scott Nichol socks are made at the Pantherella factory in the heart of England, where they are hand finished to the highest standards. Showing our 3 Scott Nichol Hobart Double and Narrow Stripe Socks reviews with an average rating of Excellent.